Every year we celebrate Arbor week at schools by planting trees and raising awareness about how important trees are for the survival of life on earth as we know it. 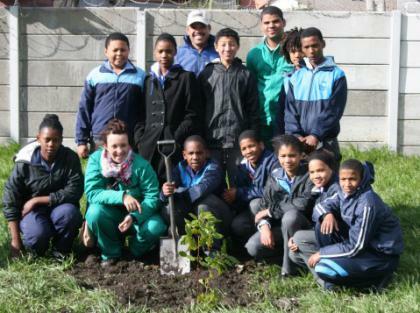 In September this year, the Harold Porter National Botanical Garden staff and the Environmental Education Team will again plant trees at schools and in the community in the Overberg. We will also have special Arbor Week lessons at the Garden. In October 2016, we will again celebrate Marine Week with our partners Cape Nature, the Municipality and the Stony Point Penguin Colony. 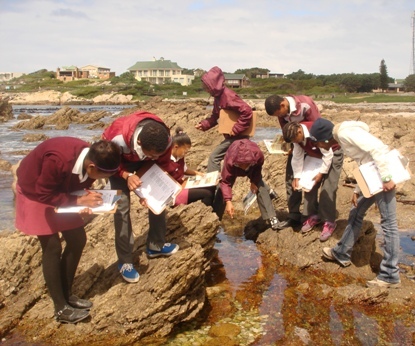 During this special Marine Month learners have an opportunity to investigate what life is still left on the rocky shores. They have great fun finding treasures like limpets, chitins, starfish, anemones, etc. 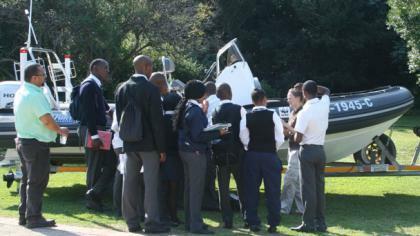 Every year, during National Science Week, we host Overberg high schools at our Biodiversity Careers Expo. This year again we will partner with the Overberg Education Department. Learners from schools in areas including Swellendam, Villiersdorp, Bredasdorp, Gansbaai, Hermanus, Hawston and Grabouw will be introduced to new career choices introduced to them by various exhibitors. 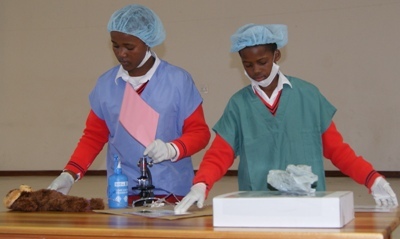 For example, the Iziko Museum team introduces learners to careers in astronomy and taxonomy while the South African National Space Agency shows learners the many career opportunities in fields such as astronomy, engineering, space weather, etc. We have developed a special careers programme to introduce primary school learners to exciting biodiversity careers. Learners learn in fun, interactive ways about these careers by doing research, playing dress up and performing a drama. The programme is conducted at the schools. Look out for our holiday programmes during the June, September and December school holidays. Kids will interact with our beautiful Garden in fun ways. 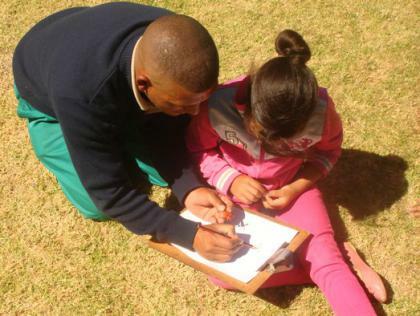 They can sketch, paint and create art inspired by the biodiversity as they explore our beautiful Garden.